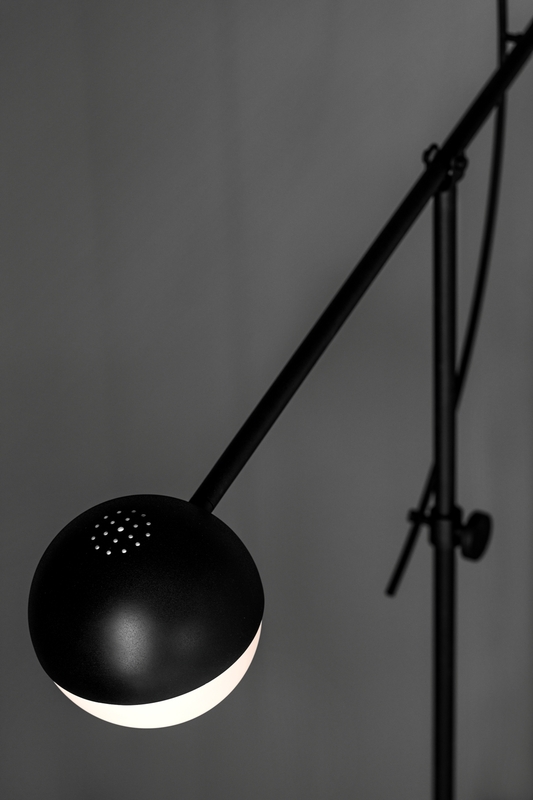 Balancer’s brightness is both diffuse and direct, creating a harmonious balance of atmosphere and ambient light. 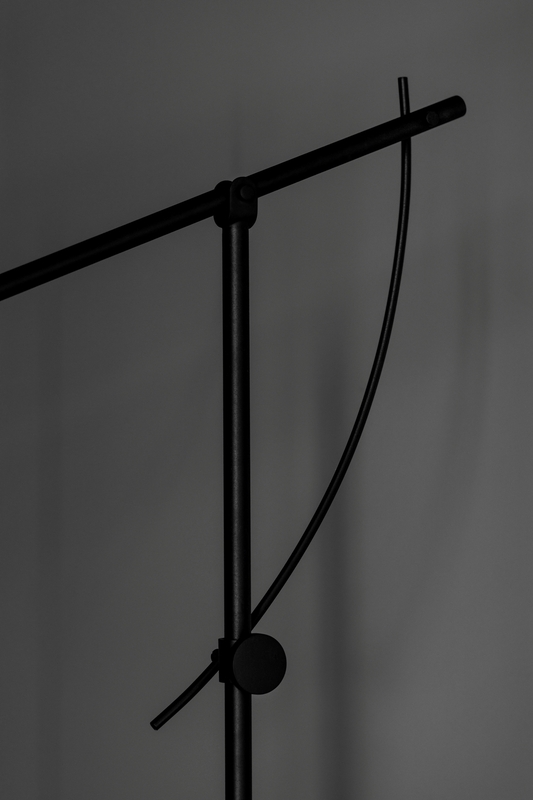 This adjustable floor lamp is expertly crafted in black, powder-coated steel, creating a stunning combination of light, geometry and structure. Formed by clean, architectural lines and classic geometrical shapes, Balancer is uniquely interactive. 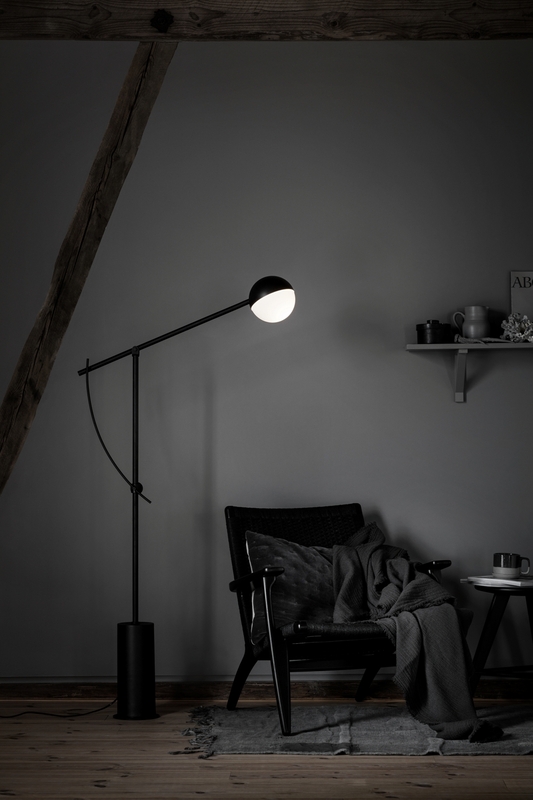 Turning a swivel key on the frame enables the shade to lever upwards to cast light over the surroundings, or pivot downwards to direct it towards the floor. Although Balancer has a wide range of movement, it is incredibly stable. The heavy base anchors the structure firmly to the floor, while the movement of the shade poses a counterweight to the base. 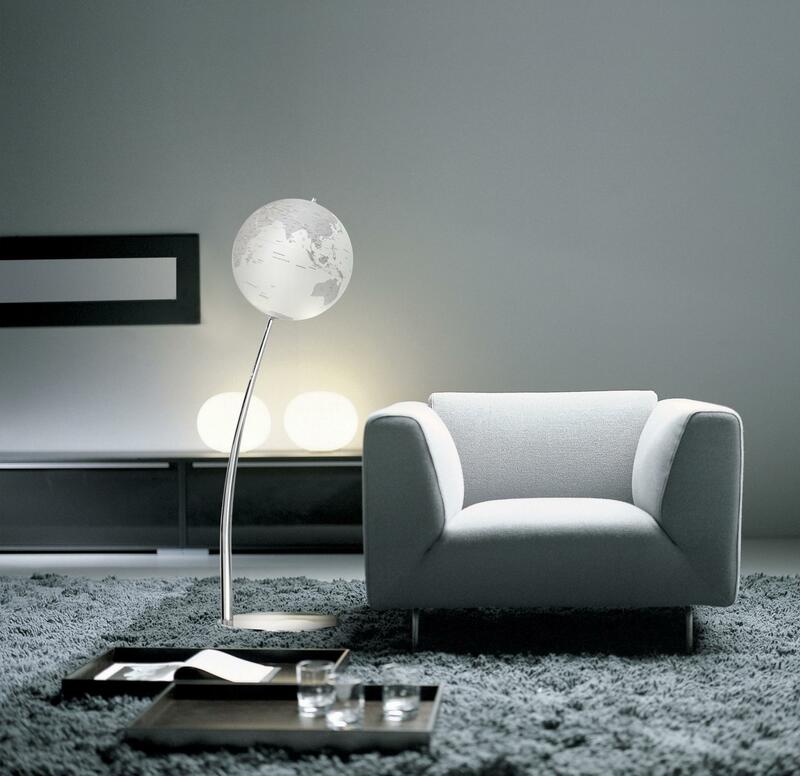 Balancer’s brightness is both diffuse and direct, creating a harmonious balance of atmosphere and ambient light.